The Darkspear Rebellion was very exciting. Yes, it was pretty short, but I like that. You can see all the content in the day, but you can grind some more if you’d like. You can watch me experience it in the video below. Of course, the video and this post contain huge spoilers. I’ve also cut a lot of the repetition from the video. Below I first explain the lore and story involved before giving my opinion and feedback. Click here to jump straight to my feedback. After witnessing events elsewhere on Azeroth with Lorewalker Cho and his dream brew, I was sent to Sen’jin Village. Vol’jin is there planning a rebellion against the Warchief, Garrosh Hellscream. 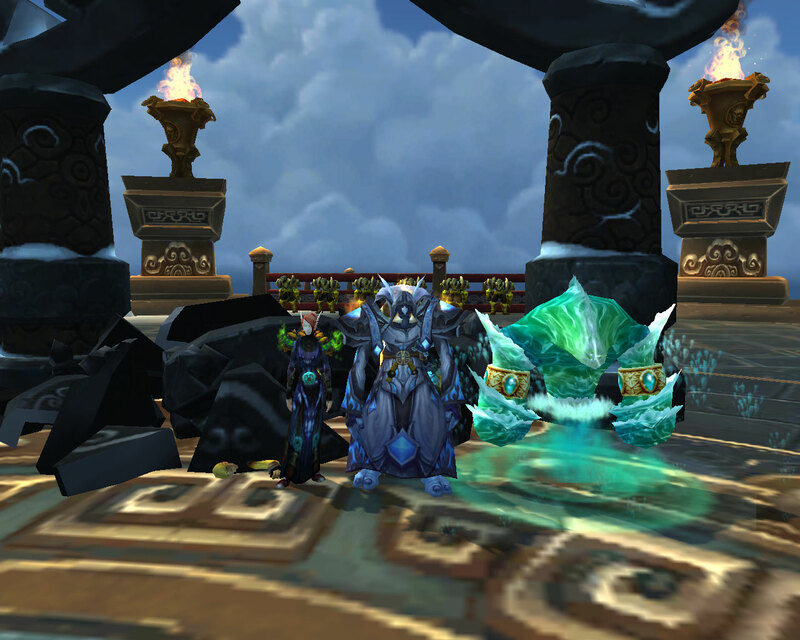 With him are Thrall and Chen Stormstout. You’re tasked with collecting some supplies from the new Kor’kron camps in the Northern Barrens. 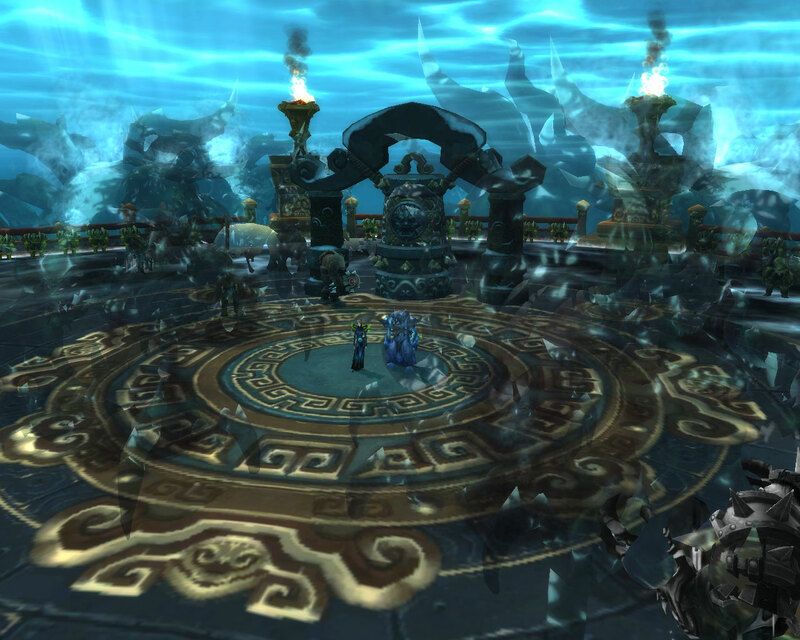 After completing this task, I returned to talk with Vol’jin, Thrall, and Chen. The Warchief, or at least his Kor’kron, figured out what was happening and led an attack on Sen’jin Village. Unfortunately for them, we were able to defeat them. As they fled, Vol’jin suggested we let them run because they’d be executed by Hellscream for doing so. Vol’jin’s next move was to plan on attack on Razor Hill, using it as a staging ground before laying siege to Orgrimmar. Thrall parted ways with the rest of the rebellion at this point, believing that some of his previous advisers, such as Eitrigg and Saurfang, must not support Hellscream. Vol’jin told him that he’d be killed upon setting foot in Orgrimmar, but Thrall felt he had to try anyways. He told Vol’jin to watch over Aggra and his boy if he’s killed. 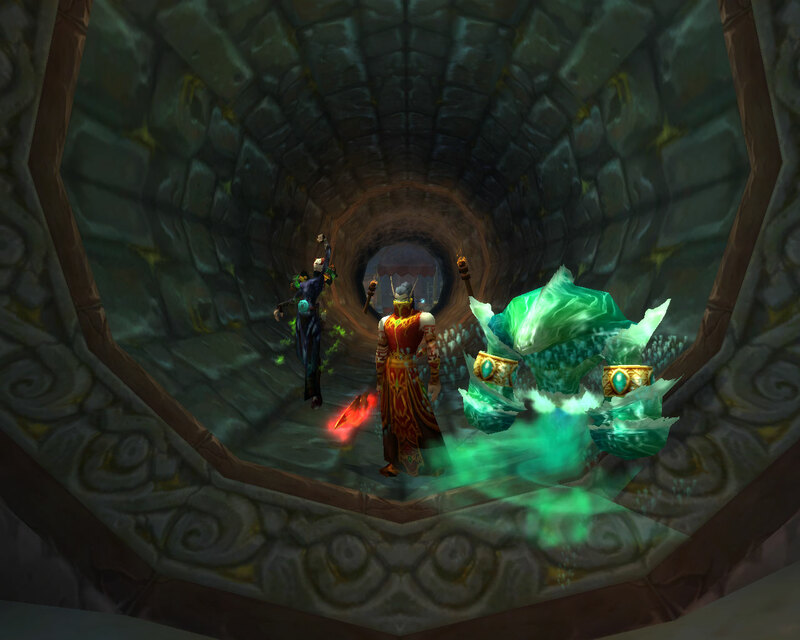 gem watches from her direhorn, propped up cutely on the stairs. After taking Razor Hill, the rebellion sets up camp at a watchtower just north of the city. Baine Bloodhoof arrives, happy to see Vol’jin alive. He offers to join the rebellion. I was tasked with two new objectives – to steal many more supplies from the Kor’kron and to speak with the Old Seer currently climbing Mount Neverest in the footsteps of the last emperor. 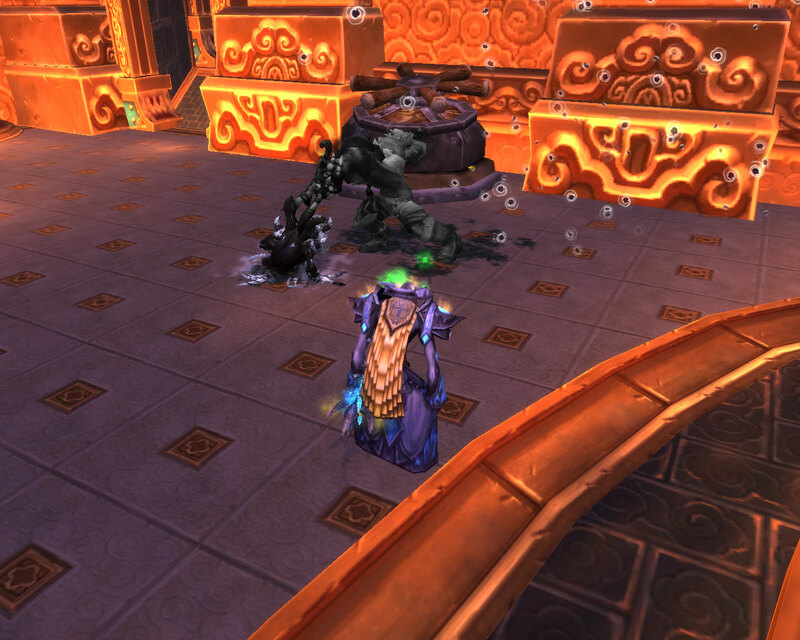 First, I went to the Northern Barrens to collect materials from the Kor’kron and to kill the Kor’kron commanders. Once that was done, I headed to Kun’Lai Summit. I helped the Old Seer, Seer Hao Pham Roo, climb the mountain, during which he explained how when he was young he would have had trouble performing the climb. For example, he says, “My, you are strong! When I was young, I might have doubted that we could do this. But now, I have no doubts at all.” In fact, he mentions overcoming anger, violence, doubt, despair, hate, and fear. Upon reaching the summit, he explains. “You see, when I was young… when I was young… when I was young… I was EMPEROR.” He transforms in the spirit of the last emperor, describing his remaining vice – his pride. 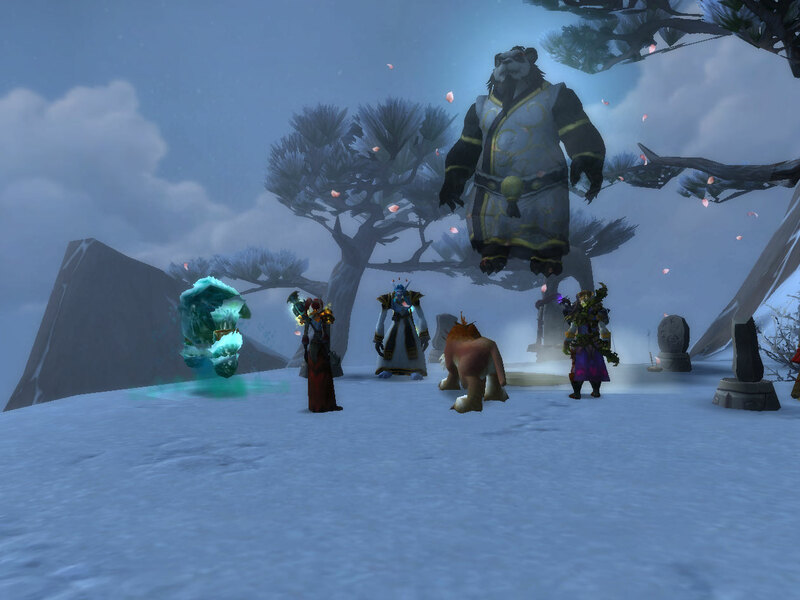 He explains that his pride cloaked Pandaria in the mists. He thought they could solve their problems without outside help. Now he believes that old enemies must work together, and that proud races must admit that they need help. He then disappears. I’m incredibly happy with the Battlefield Barrens event. The lore was fantastic, and experiencing it was a ton of fun. The only grind is collecting supplies for the weekly, but that really only took an hour or so. Of course, if I choose not to do it again, it wouldn’t even be that big of a deal. The conflict rose at a great pacing as well. 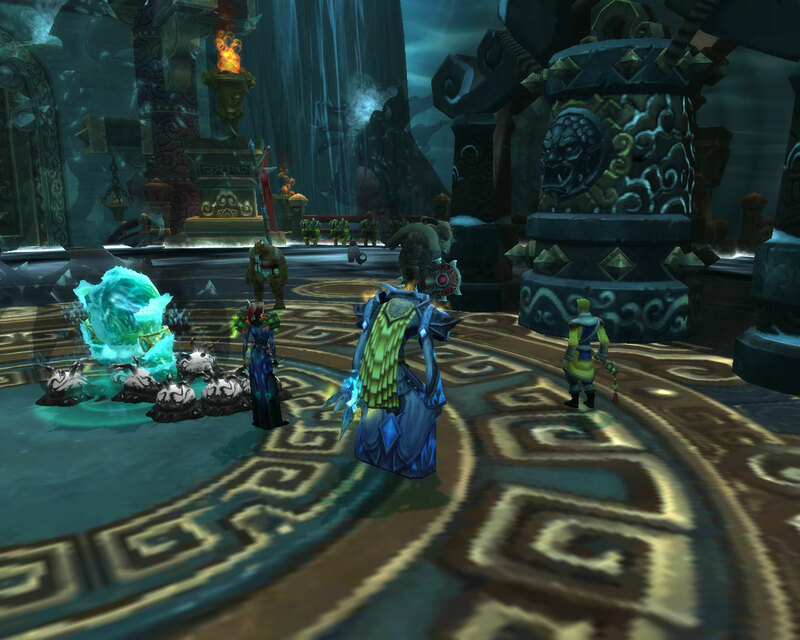 First, we attacked the Kor’kron haphazardly. Next, they attacked Sen’jin Village, and we defended. Finally, we led a full assault with a marching army upon Razor Hill. Very cool! 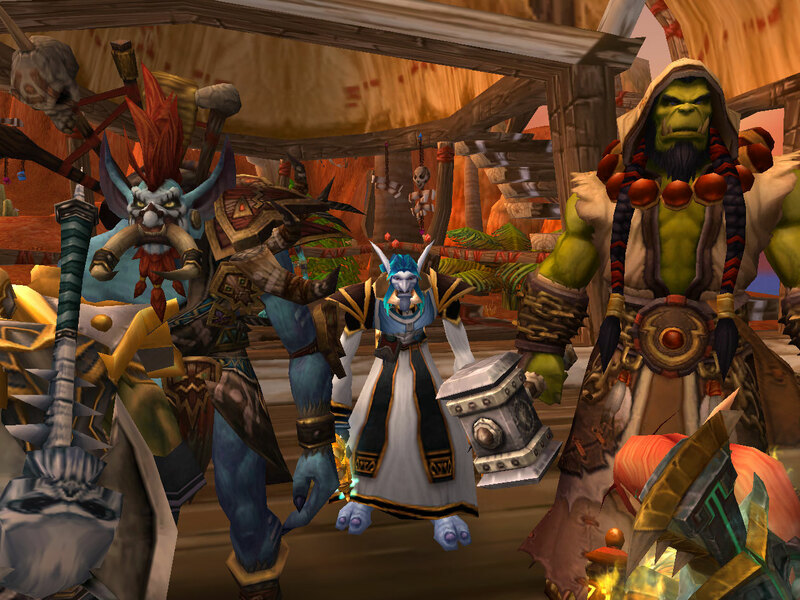 All three leaders of the primary Western Horde were there – Vol’jin, Thrall, and Baine. They even mentioned that Lor’themar agreed with the rebellion but was still busy and that Sylvanas agreed but was too far away. It was nice to see Baine show up despite there still being tauren within Orgrimmar. The dialogue between Thrall and Vol’jin was also touching. I know I’m a sap for lore and story, but I really enjoyed it. I hope Blizzard wasn’t foreshadowing Thrall’s death, but in all honesty, I was expecting his death at the end of Cataclysm already. Many people love Thrall, and many people are sick of seeing him. Killing him could be a fitting solution. The people who are sick of him won’t need to see him anymore. The people who love him will have him go out at a high point in his life and can remember him as a great hero. The quest with the Old Seer was simply amazing. I didn’t even realize he was talking about defeating the sha as we climbed until I went back to watch my own video. And when he transformed into the Emperor, I was at a loss of words. I know that sounds silly, but I have a low tolerance for “awesome,” and this was super awesome. A lot of people were expecting a final Sha of Pride, but it’s nice to see it confirmed. And it’s definitely true that Garrosh has been acting more prideful and much less honorable than previously. When did the mists part, anyways? Could the Sha of Pride have left Pandaria, parting the mists, near the end of Cataclysm – right around the time Garrosh Hellscream began planning the destruction of Theramore? It could explain his change of behavior! I can’t wait to see the Siege of Orgrimmar! Patch 5.3 hits today. Every time there’s a patch, I ask myself if I’m ready for it. So far this expansion, every patch has come a bit early in my opinion. Yes, I do feel a bit burnt out lately, but that’s because there’s too much to do, not because it’s boring. How am I doing in patch 5.2? 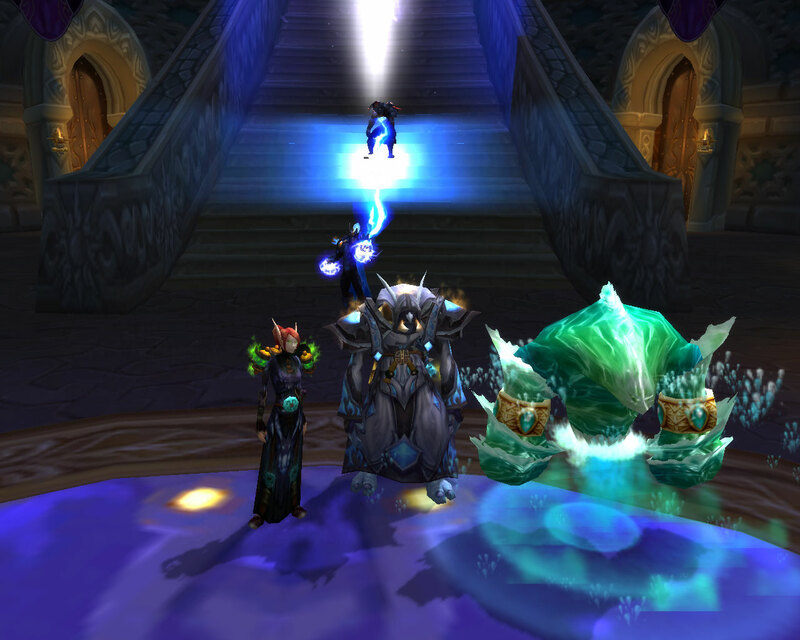 I’ve finished LFR of course and am 3/12 in Throne of Thunder. I’ve done all the activities on the Isle of Thunder although didn’t get all the achievements, I’ve killed the two world bosses, and I’ve explored the Isle of Giants. I’m exalted with the Sunreaver Onslaught and revered with the Shado-Pan Assault. I’ve finished collecting Secrets of the Empire and Trillium Bars for Wrathion and am working on his quests. I suppose now is as good a time as any. There’s still more to do, but this isn’t a raid patch. Because I’m no longer doing much besides raiding, it seems like the perfect time for a non-raid patch. I just wish I was caught up with Wrathion! Patch 5.3, Escalation, should be exciting. I have no idea what’s going on with PVP, and I wish I did, so I can’t say much about the new BG. Scenarios have been pretty boring so far, so I’m not very excited for that either. 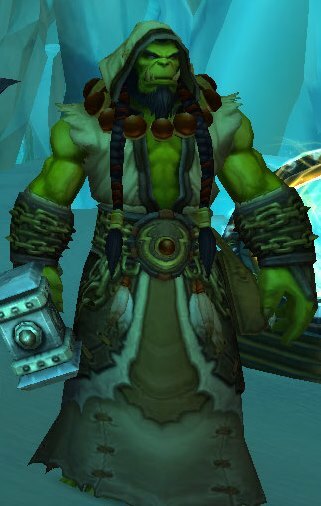 However, I love where they’re going with the story and look forward to helping Vol’jin’s rebellion! 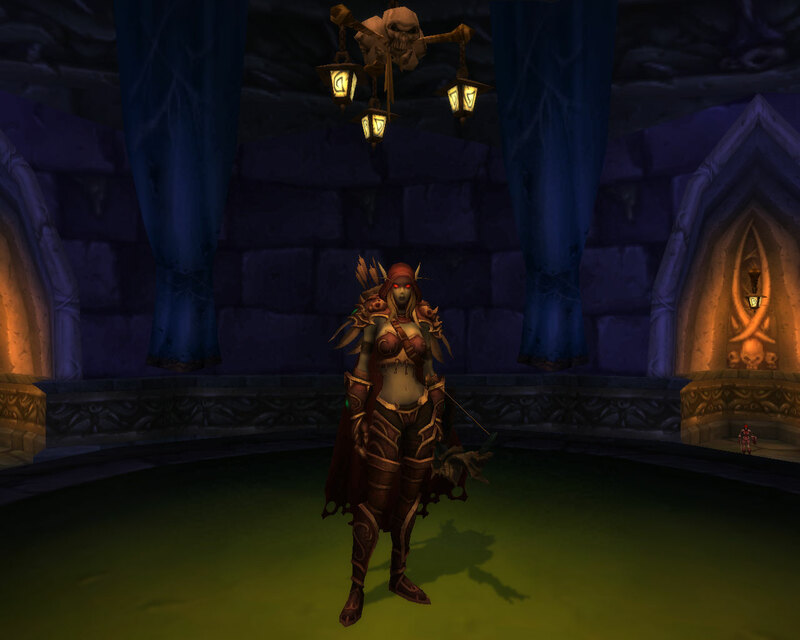 Warning: This post contains some spoilers for patch 5.3. I’m super excited about what we’ll be doing in 5.3! The Darkspear will be rebelling against Garrosh Hellscream. 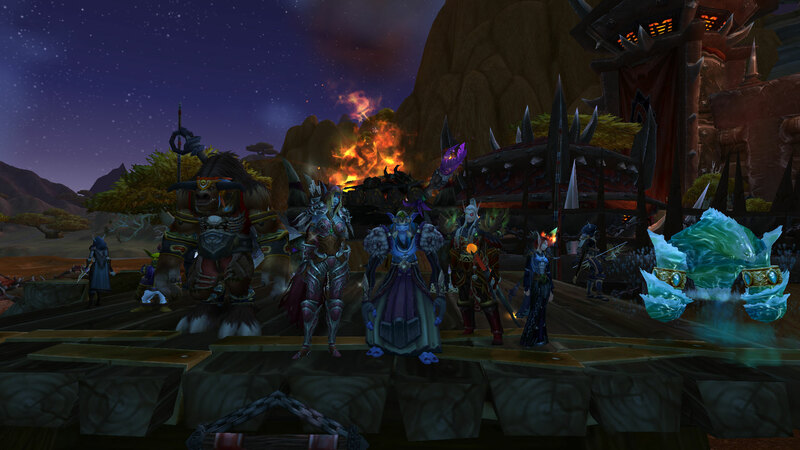 Horde heroes will be helping the Darkspear against an assault by the Kor’kron and advancing on Orgrimmar. Meanwhile Alliance heroes will be performing espionage against Hellscream on the outskirts of Orgrimmar. We’ll also be disrupting Kor’kron supply lines in the Northern Barrens and killing Kor’kron leaders. While I like Blizzard to take their time with patches, I’m eager to see the plot unfold. I love all the plot development we’re seeing this expansion, and I suspect the Darkspear’s rebellion will be particularly entertaining. 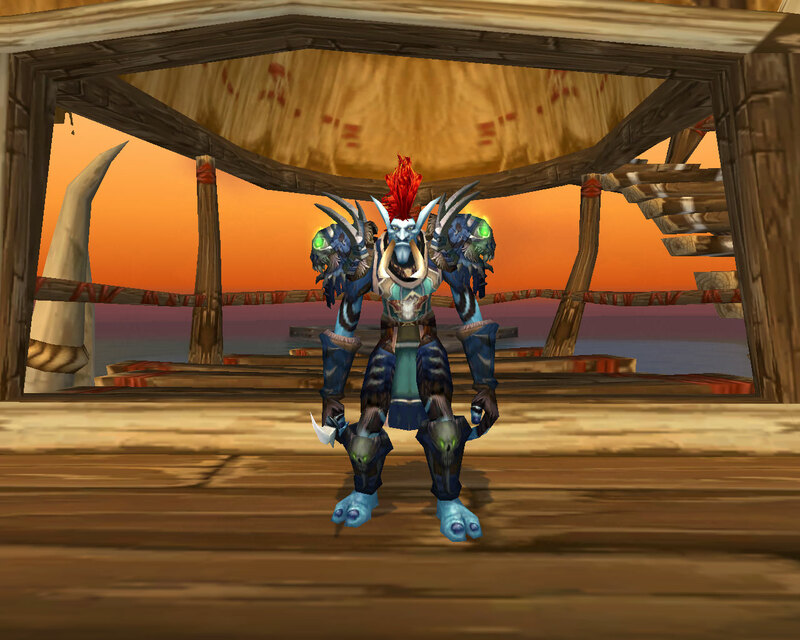 I’m sure I have a bit of a soft spot for the Darkspear because I play a troll. With Vol’jin declaring war against Garrosh Hellscream, does this point towards Vol’jin as future Warchief? Blizzard has stated before that it’ll be unexpected, but they’ve also said things that don’t always turn out true. While I want Vol’jin to become the Warchief, I could get behind Lor’themar Theron as well. He was an empty character to me until 5.1, but I’ve really come to enjoy his character. If the Horde was a democracy, however, I’d be voting for Vol’jin! Source: Patch 5.3 PTR patch notes and datamined changes, Olivia Grace, WoW Insider, 4/2/13. Mooglegem and I finished the Dominance Offensive recently. 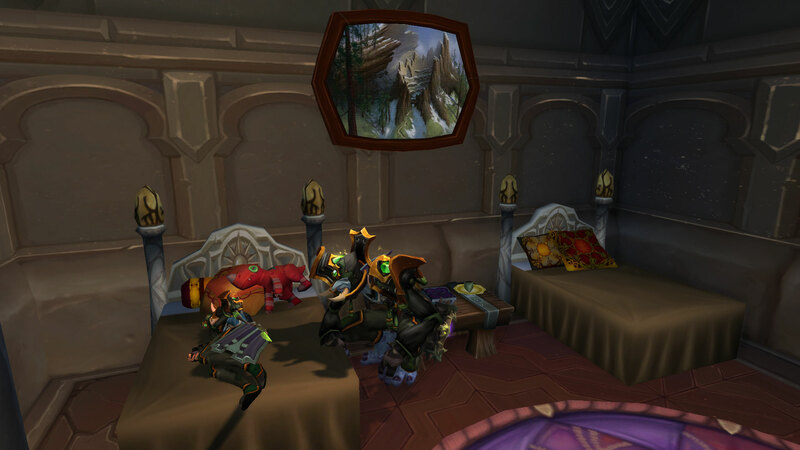 Getting a new storyline, non-repeatable quest every two days of dailies is a whole lot better than the faction reputations that launched with Mists of Pandaria. As I worked on my Klaxxi reputation, I only got a break from the monotony when my reputation level changed. With the Dominance Offensive, I looked forward to the dailies because I wanted to see where the story went. I hope that dailies in the future follow the Dominance Offensive model. I took a lot of screenshots along the way, so I thought I’d go through them. Landfall starts with Garrosh landing in the Krasarang Wilds and leading the Dominance Offensive in an attempt to conquer take control of Pandaria. He doesn’t seem to want to forcibly take it from the pandaren, but he definitely wants to keep it away from the Alliance. He brings tauren, Blood elf, and goblin with him and his orcs but distrusts the Forsaken and Darkspear. When Vol’jin follows after being ordered not to come to Pandaria, Garrosh sends him on a mission with the Kor’kron. This is really a secret mission for the Kor’kron to slay Vol’jin. 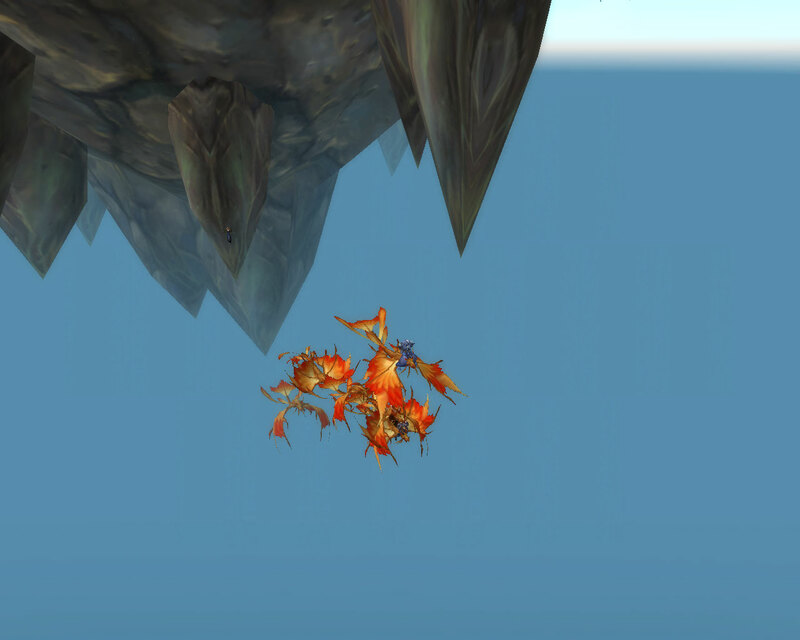 Ultimately they fail as Vol’jin clings to life while the player heroes return, pretending that the deed was done. 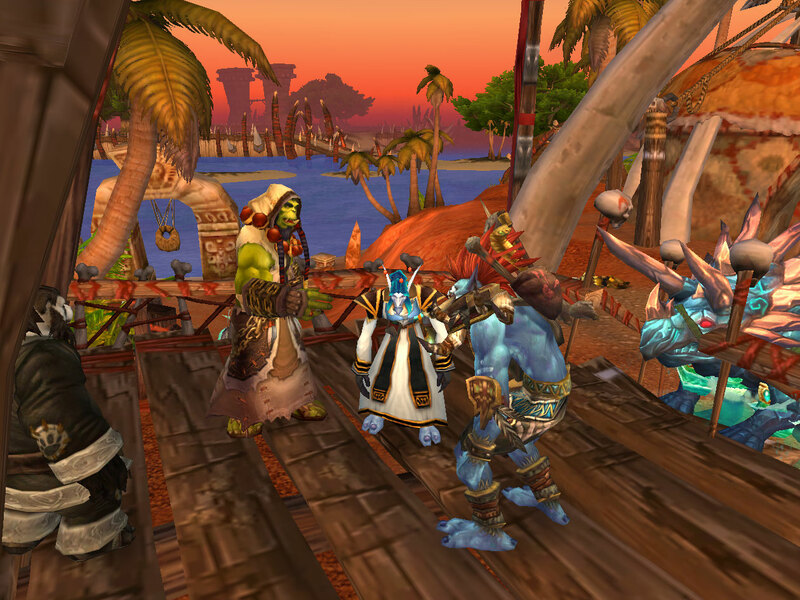 Vol’jin gives players his hearthstone, which players then take to Thrall. Learning something is wrong, Thrall escorts the heroes to the Echo Isles where they discover that Garrosh has ordered martial law and is treating the Darkspear as prisoners under the watch of Kor’kron. When the Kor’kron explain that they will not stop at Thrall’s request, Thrall and the heroes slay the Kor’kron, and Thrall stays in the Echo Isles to protect the remaining Darkspear. 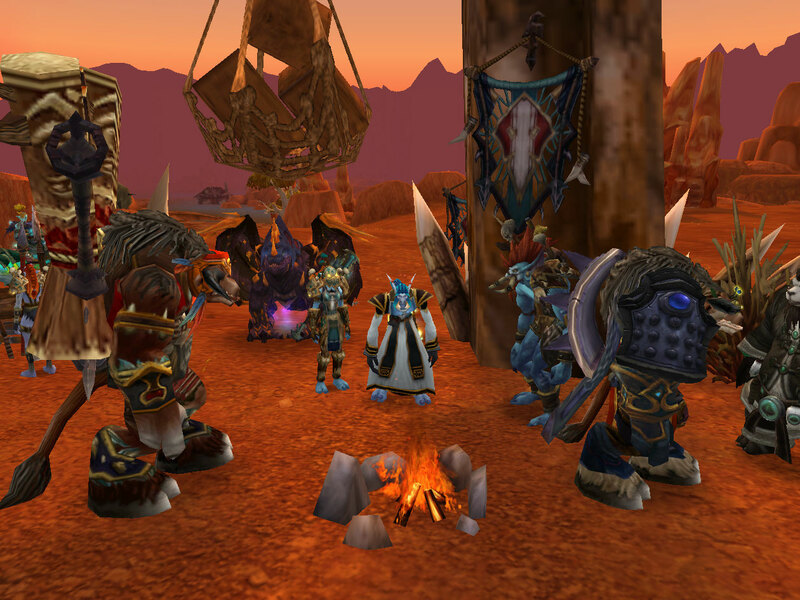 Garrosh travels across Pandaria with Malkorok, former Blackrock member, and Ishi. He’s intrigued by the mogu’s power, especially their ability to create warriors. Garrosh orders Lor’themar Theron, leader of the Blood elves, to find out more about the mogu’s powers. After Garrosh orders Blood elves to an area without warning them about the mogu present in the area, Lor’themar Theron further questions Garrosh’s rule. He remarks that with the Horde not valuing Blood elf life (just as the Alliance treated his people at the end of presence in the Alliance), perhaps it’s time to rethink their stay in the Horde and to consider old alliance. Baine Bloodhoof arrives on Pandaria as well and appears to help Garrosh. He doesn’t really agree. 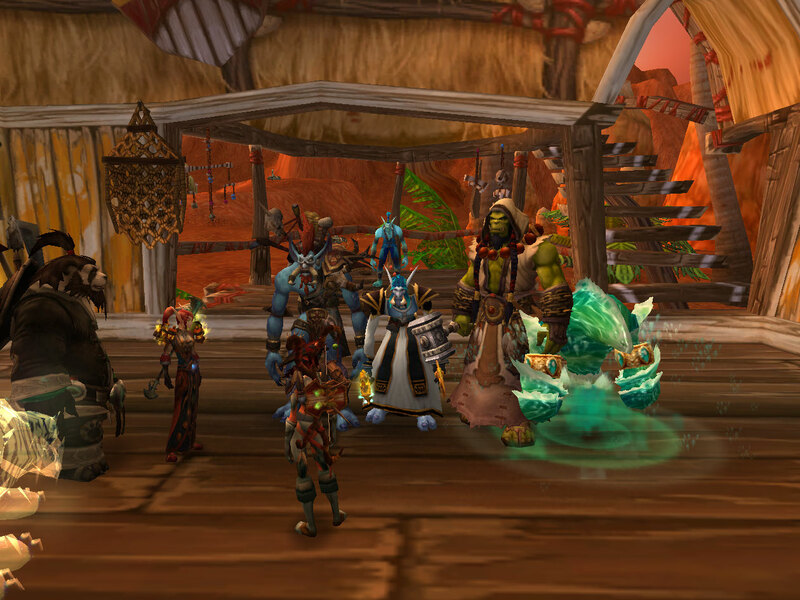 In fact, he’s in communication with Vol’jin but chooses to stay close to Garrosh. 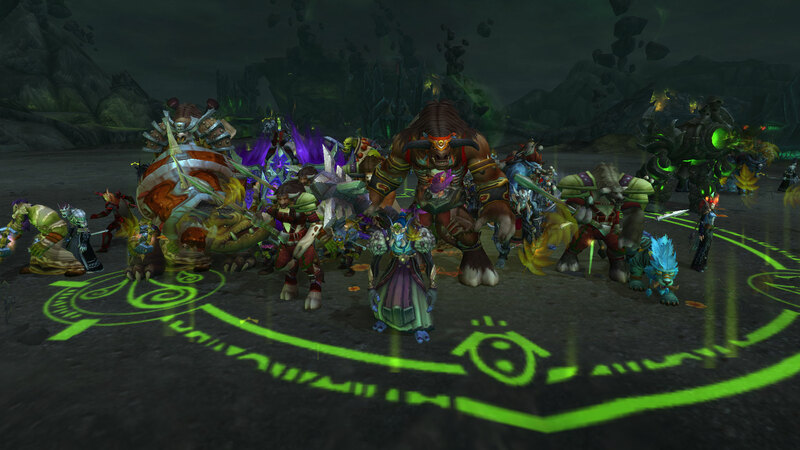 A Sha-related artifact is found, and Garrosh uses it to empower his soldiers. The warriors can’t control is and end up driven mad. In this picture, a Sha-touched mindbender battles a Sha-corrupted Horde soldier. After more pushing by Garrosh, Fanlyr Silverthorn, of the Reliquary (and likely the Sunreavers) discovered information about the Divine Bell, an artifact capable of empowering warriors. 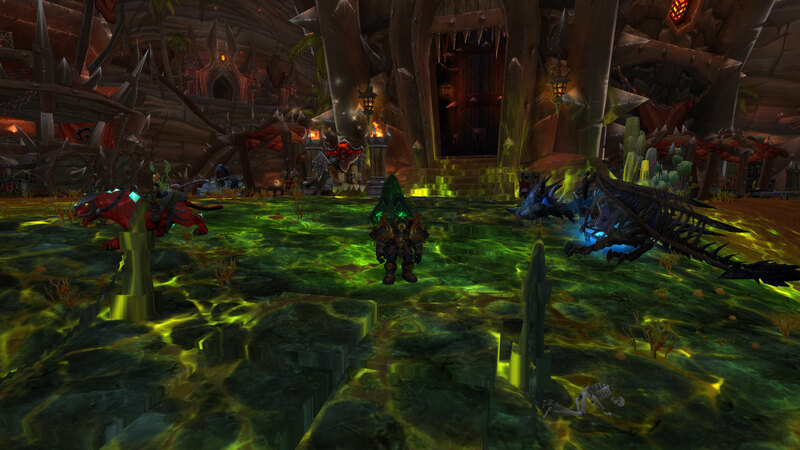 Its location was eventually discovered, but the Alliance beat the Horde to it and teleported it to Darnassus. Fanlyr teleports Horde heroes to Darnassus and magically cloaks them. He urges them to remain hidden, telling the heroes that should Jaina Proudmoore discover the Sunreavers’ actions there could be dire consequences. The Divine Bell is found and teleported to Silvermoon. Unfortunately, Jaina does discover the actions of the Sunreavers and exiles them from Dalaran. Any Sunreavers she discovers are attacked and imprisoned. 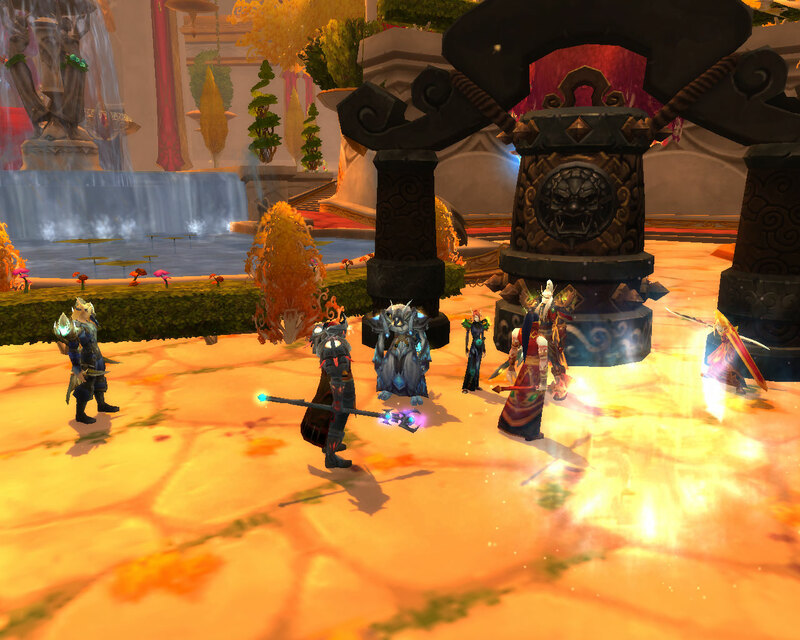 Horde heroes are sent to Dalaran and meet with Grand Magister Rommath. 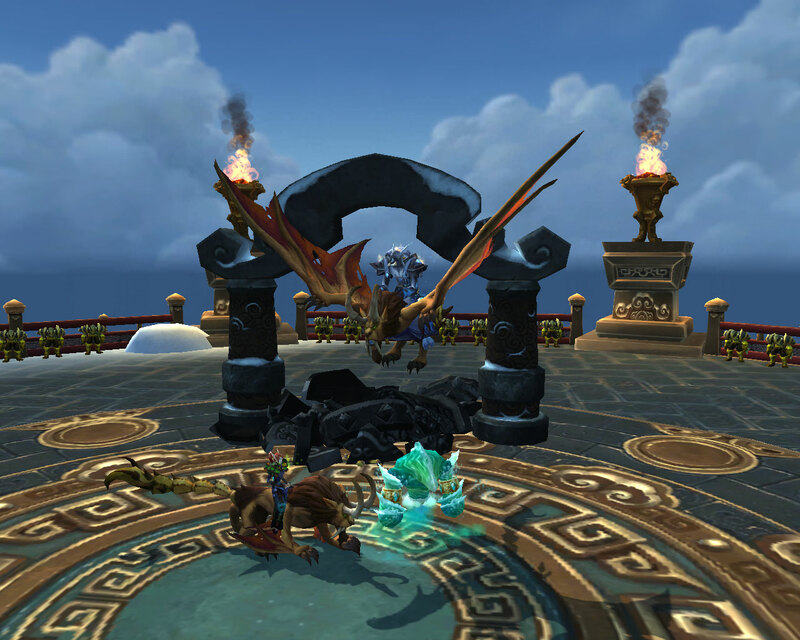 They evacuate as many Sunreavers as they can, slay Alliance soldiers stationed in Dalaran, and free the Sunreaver Dragonhawks so that escape will be possible. Heroes search the city for Aethas Sunreaver, leader of the Sunreavers. He’s discovered imprisoned in the Violet Citadel. After freeing him, he makes an escape with the heroes. In Silvermoon, Lor’themar Theron learns of the happenings in Dalaran. After angrily throwing a bench, he welcomes the Sunreavers to Silvermoon, and the Sunreavers join the ranks of the Magisters. Lor’themar Theron remarks that the Alliance’s actions have only pushed the Blood elves back further into Garrosh’s Horde. 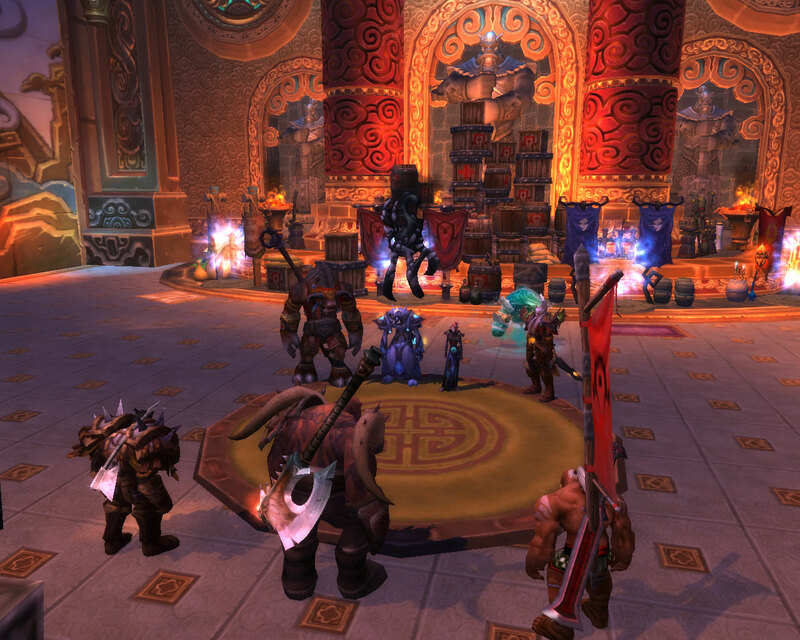 Back in Pandaria, Garrosh prepares to use the Divine Bell. While clearly wielding the power of the Sha, Garrosh doesn’t care. He rings the bell, his Kor’kron and Ishi are corrupted by Sha. Anduin attempts to stop Garrosh from using the bell, but it’s too late. As the corruption spreads, Anduin helps the Horde heroes defeat the corrupted soldiers who are not able to control their power. Garrosh seems to believe that if a person is strong enough, they can control the power. Anduin uses the Harmonic Mallet to stop the effects of the Divine Bell. Garrosh, furious, strikes the Divine Bell, shattering it and burying Anduin, presumed dead by the Horde. And then Horde heroes are given mounts. I’m sure Anduin lives, but I don’t actually know the Operation: Shieldwall story. I’m considering watching it on YouTube, but it’d be nice to stay in the dark like I should in character. 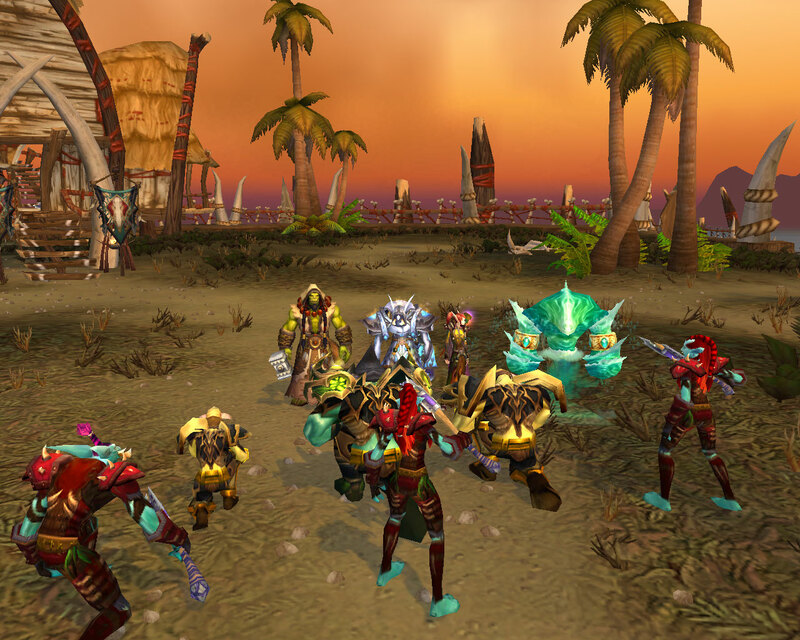 Regardless, the Dominance Offensive was some of the best story-telling Blizzard’s done with WoW. I look forward to further content like this and can’t wait to see what plays out with the faction leaders. Lor’themar Theron finally took action, and I loved learning more about the Blood elves. I’m sure I’ll learn more in the next patch! With the presidential election behind us in the United States, I thought it’d be a good time to discuss the future of the Horde. We still don’t know have confirmation of what Garrosh does to make Horde and Alliance decide to unseat him, but we’ve been told that he “has become corrupted and has been doing some really nasty things beneath Orgrimmar.” I suspect this is sha corruption, and my guess is that he’s trying to control and use sha underneath Orgrimmar. At this point though, who knows? What I’m anxious to find out is who his successor will be. J. Allen Brack, lead producer, claimed that Thrall would be reinstated, although Blizzard later backpedaled. I really loved Thrall, but lately I’ve been disappointed in him. More and more I think that his legacy will be founding the Horde, but that he doesn’t really have the ability to lead. I don’t think Blizzard should go this route. 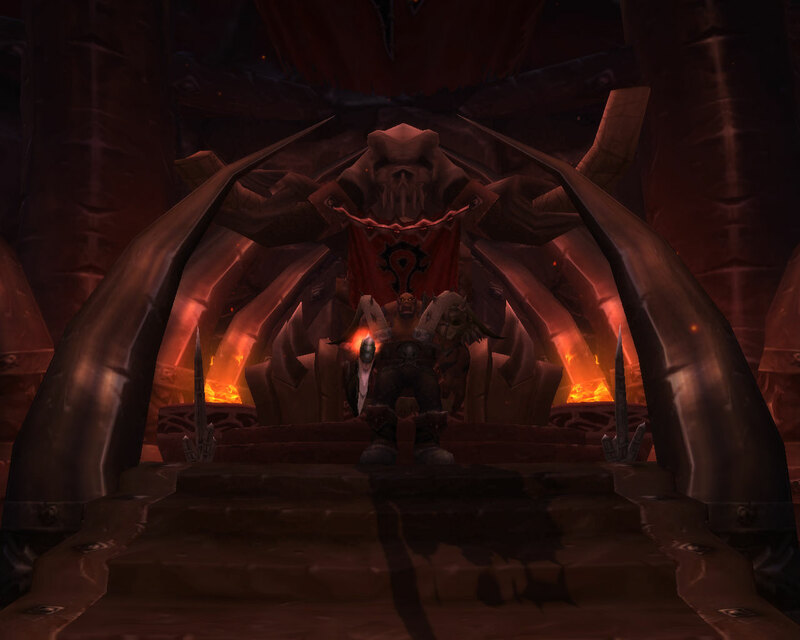 Baine has been thrust into a leadership position after his father fell in battle to Garrosh. It’d be fitting if Baine took Garrosh’s position after taking his own father’s as well. He’s strong and willing to fight, and he loves the Horde. He’s also willing to talk to the Alliance and very much wants peace. My character would love for him to become Warchief, but would the Horde be too friendly with the Alliance? Vol’jin promised Garrosh he’d be the one to kill him. I’m very confident that that will come true. I see Varian acting honorably and pulling back from landing the killing blow before Vol’jin shoots an arrow through Garrosh’s heart. Vol’jin is aggressive and has been more and more willing to get his hands dirty lately. He’s willing to work with the Alliance, which is great. 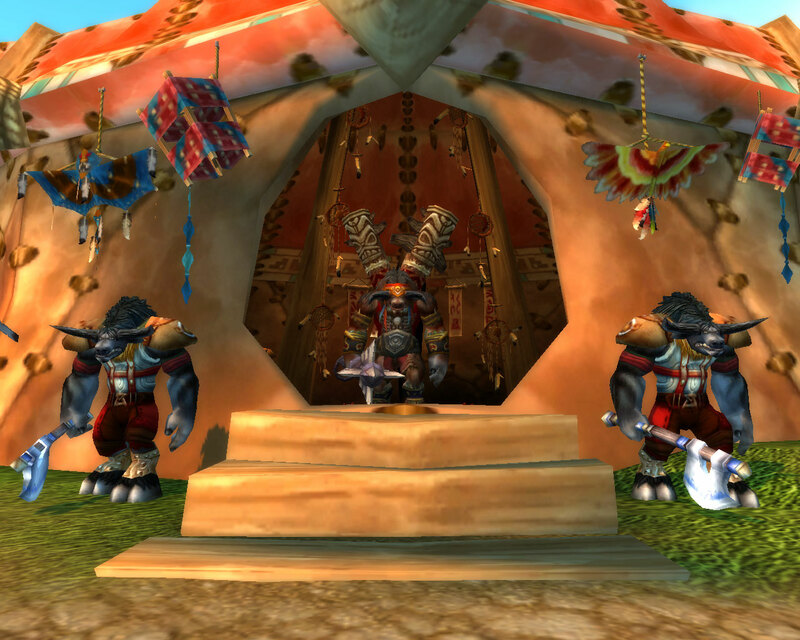 While I could see Baine wanting to unite with the Alliance practically, I don’t see Vol’jin going that far. Vol’jin would make a good leader, but he’s also one people expect. Then there’s Sylvanas. If Blizzard wants to keep tensions high between the Horde and Alliance, Sylvanas should be the next Warchief. Garrosh is bad, and most people dislike him. Sylvanas is bad, and many people like her. She’s a much more interesting character in that she doesn’t have personality shifts (Garrosh demands people act honorably and then uses the mana bomb) and is simply who she is. You may not agree with her actions, but you’re not surprised by them. This would also give the story an interesting twist. Imagine the Alliance’s response when they find that Varian led a fight to unseat Garrosh only to have Sylvanas fill that seat. If they did this, I’d suggest they make the Undercity the capital with portals to the new zones in the next expansion, but leave old portals set up the way they are. This would keep Orgrimmar an important hub for some content but spread most of the population into the Undercity. (However, this wouldn’t be mirrored to the Alliance unless a new reason is introduced to make Ironforge the primary city.) Is this likely? I don’t know. But it would be very interesting!